Aligned to the District mission, vision, and goals, Response to Intervention will serve as a District-wide approach to ensure all students reach their fullest potential. As educators we will provide each student with content-rich, rigorous, responsive classroom instruction. Individual student needs will be met through evidence-based instructional practices, differentiated instruction, targeted interventions, and data-driven decisions. We will foster an equitable learning community that appropriately supports all learners needs and strengths. Our belief system is based on the efficacy philosophy, which is to mobilize practitioners and students towards proficiency and beyond by being responsive to their needs. 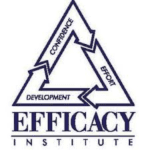 More information at www.efficacy.org.